The Easter weekend’s coming to a close and before it does I thought I’d share a bit of the colorful wildflowers we’re getting at this time of year. We’ve got a bumper crop of wildflowers this year. So much better than last year when we were deep in the midst of a drought. 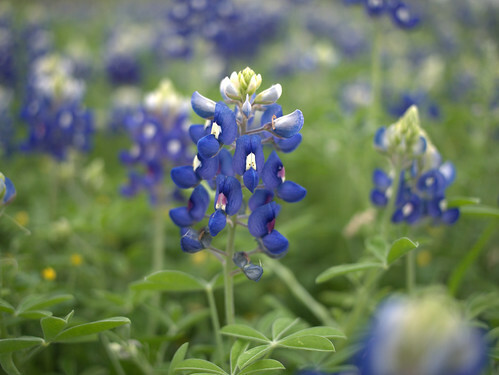 All kinds have started to bloom but the Bluebonnets are particularly plentiful this year and always a favorite. About the only time of the year you’ll see people stopped by the side of the roads – middle of nowhere – taking pictures of their kids in some random ditch that’s suddenly become a garden. If I get a chance I’ll look for some Indian Paintbrush and some others and get a photo or two of them too. I snagged this shot on a school yard in Williamson Cty. The place was loaded with ’em.